Back on the market - no fault of Seller. NEW FURNACE. Newly replastered POOL/SPA and RV/BOAT PARKING area. LARGE FAMILY ROOM opens onto pool w/TALL FRENCH DOORS & has optional OFFICE/GUEST room w/walk-in closet. TILE & LAMINATE FLOORING throughout. KITCHEN UPDATE w/furniture grade maple cabinetry & CORIAN counter tops. CEILING FANS in every room; WHOLE HOUSE FAN & 2 (12,000 btu) Air conditioners. DUAL PANE vinyl/aluminum windows & doors. 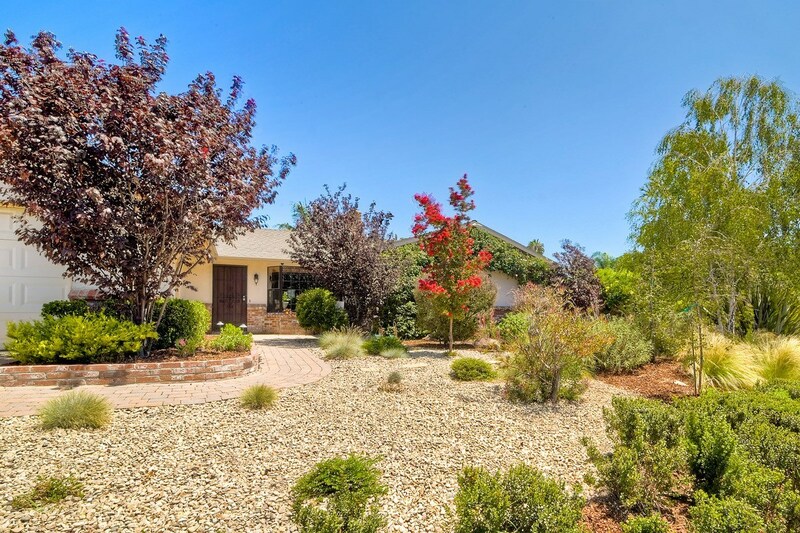 HUGE CORNER LOT., Separate backyard w/citrus trees, raised planter & vegetable gardens. *See supplement*High end LOW VOLTAGE outdoor LED LIGHTING; auto drip IRRIGATION SYSTEM. K-12 SCHOOLS in walking distance. Palomar College & CSUSM nearby. Close to all FREEWAYS.